Today was an amazing day. 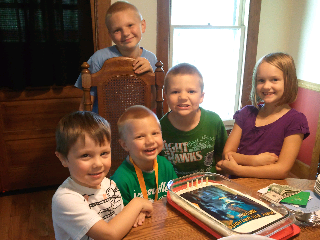 Our baby of the family turned 5 years old. 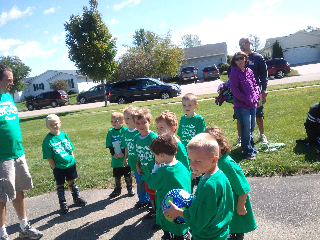 Nathan was excited to celebrate his birthday with his very first soccer game. He is so excited to be old enough to participate in sports. 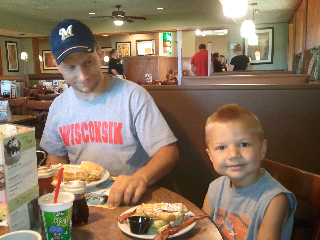 We went to Perkins for a birthday breakfast. They sang to him and he wasn't shy about it. He was thrilled to get the giant chocolate muffin. The afternoon brought friends, a movie, popcorn from our new air popper, and cake and ice cream. His buddy Asher came and they played glow in the dark soccer in our hallway. Olivia came too. It was nastalgic of preschool days gone by. We hadn't had her come over in a long time. Nathan was teary eyed when she had to go. I think he misses her daycare days with us. I was reminded of how sweet the Lord has been to Nathan so much today. 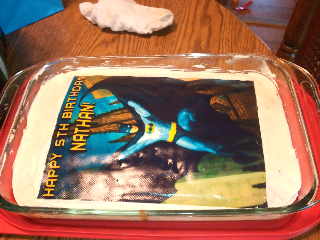 As I made his cake, I added eggs to the batter and recalled how in his first birthday his cake was egg free. 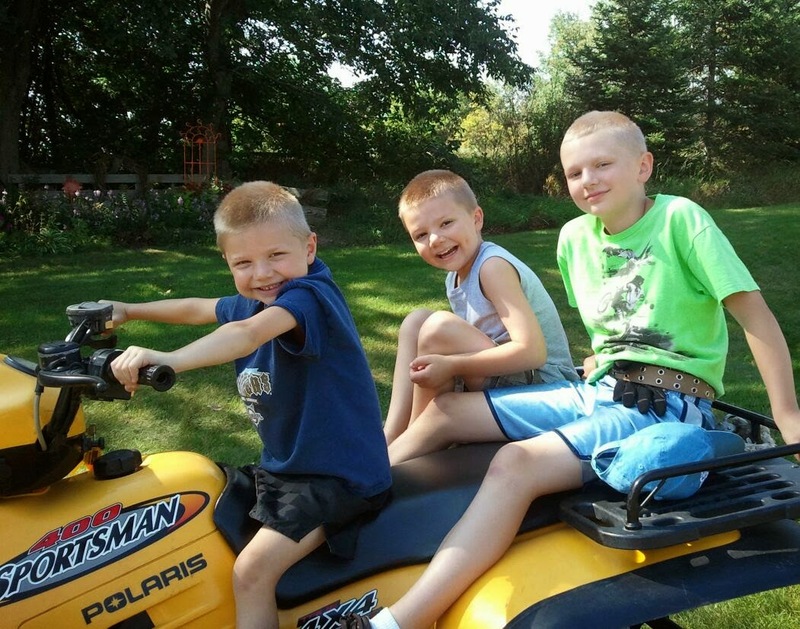 Now his multiple food allergies have been healed and they no longer rule his dietary choices. Also, as he ran around the soccer field, I smiled at his physical abilities. No way would you guess he has a heart valve issue. Four years ago we thought he would need surgery long before his 5th birthday. Today he reached 5 years old and has participated in all normal boy activities and his heart is holding strong with no outside intervention. He even visits his pediatric cardiologist less times per year than before. God has been so good to him and us. What a blessing Nathan is to our family. He is a true testimony to faith. He is surrounded by friends and family that love him, and he has enjoyed continued health and healing in his body. It is easy to get busy and forget to reflect on the past blessings in your life. Today I was overwhelmed by how blessed Nathan is by his Heavenly Father. It was a grand birthday celebration indeed.